Rangers are set to unveil former England and Liverpool midfielder Steven Gerrard as their new manager on Friday after they called a press conference at their Ibrox ground. The club were due to host their weekly pre-match media briefing at their training base at 1130 GMT but that has now been cancelled, with journalists instead told to report at Ibrox for 1400 GMT, where Gerrard is expected to be announced as the Glasgow club’s 16th manager. According to reports, a three-year deal has been agreed that will see Gerrard, who has only previously worked with Liverpool’s Under-18 team, take his first step into first-team management at the helm of the Scottish Premiership giants. Gerrard was an inspirational captain and Champions League winner in a 17-year career at Anfield but as a managerial rookie, the 37-year-old faces a huge challenge to compete with bitter rivals Celtic for domestic dominance in Scotland. Celtic’s 5-0 thrashing of Rangers on Sunday sealed a seventh straight Scottish Premiership title for the green-and-white side of Glasgow. 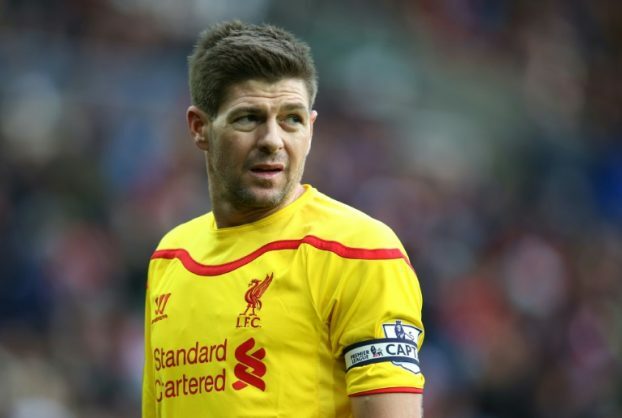 Gerrard also faces the challenge of outfoxing his former manager at Liverpool in Celtic’s Brendan Rodgers. In just under two years since taking charge at Celtic Park, Rodgers has won nine and drawn two of his 11 meetings with Rangers, with his side scoring 30 goals in the process. The arrival of the former England captain would restore some star power to a league that has found it increasingly hard to attract and hold on to top players against the booming television revenues of the Premier League. Rangers are still recovering from the fallout of their liquidation in 2012 and subsequent demotion to the fourth tier of Scottish football. In their second season back in the top flight, Rangers trail Celtic by 13 points, and are locked in a battle with Aberdeen and Hibernian just to finish second. Rangers fans excited by the prospect of Gerrard’s arrival have cited his stature as aiding the Ibrox club’s ability to recruit a better quality player in what is expected to be a busy transfer window. But Rangers still have to overcome a huge financial disparity with Celtic. Bolstered by revenue from the Champions League, Celtic’s £90 million ($122 million) turnover last year was three times that of their Old Firm rivals. Betting on an inexperienced manager with no previous ties to Scottish football is also seen as another huge risk taken by Rangers’ beleaguered board. Caretaker manager Graeme Murty, who had been promoted from his role as the club’s under-20 coach, was sacked this week after six months in charge.